Cot Coverlet and Cushion Cover in Batik DK. 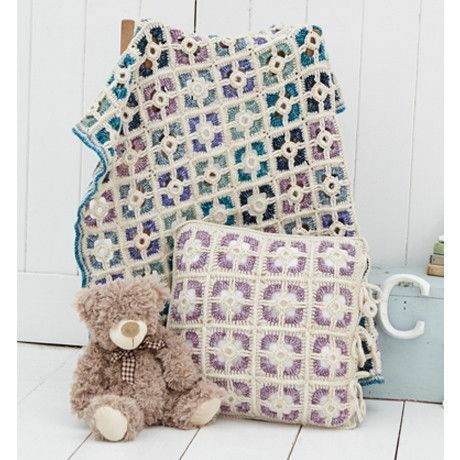 Please note the yarn quantities is enough to make both the Blanket and Cushion Cover. You will also require a 35cm (13 3/4") Cushion Pad for the Cushion. Cushion size approx. 35 x 35cm (13 3/4 x 13 3/4").